Zucchini. What more can I say. I'm glad I put together that list of my Top 10 Favorite Zucchini Recipes. Although last night I prepared a dish that didn't make it onto the list but maybe should have - Zucchini Gazpacho - it uses 1.5 pounds of zucchini, a quick way to whittle down the pile of zukes. More than 6.5 pounds (3 kg.) of zucchini last week, mostly from the lone Romanesco plant. I harvested only 2 San Pasquale zucchini last week. I'm thinking of pulling out that plant and using the space for something more productive. To be fair, I weigh the zucchini with the blossoms attached, but they are a fraction of the total weight and I do use them. Hard on the heels of the zucchini are the prolific chard plants. I'm trying to minimize the production by whacking out the side shoots. This was a side shoot on the Golden Chard plant. This went into one of the dishes on the zucchini list - Zucchini & Greens gratin. And I finally thinned the Peppermint stick chard from 2 plants to 1. And I'm pulling the few Superstar onions that didn't bolt and using them straight from the garden. The Royal Burgundy and Slenderette bush snap beans are producing a few here and there. And the strawberries are producing enough that I didn't need to buy any at the farmer's market last week. Beet thinnings, the greens of which will go into a frittata. The first small heads of Ruby Gem romaine lettuce were large enough to harvest. I've got these growing under a canopy of lightweight remay to provide a bit of shade and they seem to appreciate it, there wasn't a hint of bitterness or toughness. Speedy arugula - 4.5 oz. Royal Burgundy beans - 5.6 oz. Slenderette beans - 4.1 oz. Beet Greens - 1 lb., 8 oz. Tokyo Bekana napa cabbage - 5.4 oz. Dried chamomile - 4.3 oz. Golden chard - 1 lb., 11.2 oz. Italian Silver Rib chard - 1 lb., 5 oz. Peppermint Stick chard - 3 lb., 3.4 oz. Ruby Gem romaine lettuce - 8 oz. Ruby Streaks mizuna - .6 oz. Superstar onions - 2 lb., 10.2 oz. Purple pac choi - .3 oz. Romanesco zucchini - 6 lb., 2.6 oz. San Pasquale zucchini - 7.2 oz. Zucchini blossoms (just the boys) - 4.6 oz. Zucchini season is upon many of us and I've noticed a proliferation of zucchini recipes popping up on blogs and food websites that I read. 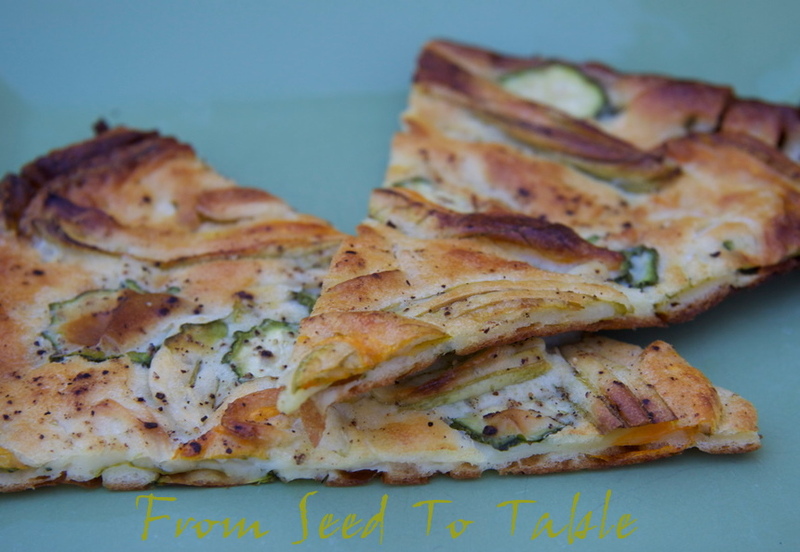 Dave over at Our Happy Acres posted his 5 favorite zucchini recipes which got me thinking about my favorite ways to prepare zucchini. I don't know if it's good thing or a bad thing, I guess it just indicates how versatile a vegetable I find zucchini to be, but I could not whittle my favorite list down beyond 8, so instead I've bumped the list up to my top 10. Looking at my list, I can see that I tend to lean towards zucchini dishes that are substantial enough to serve as a main course (not necessarily vegetarian). Many of the preparations take advantage of zucchini's relative blandness and it's ability to stay in the background. The first one on the list though is all about the delicate flavor of fresh raw zucchini. Shaved Zucchini and Arugula Salad is a really simple dish that relies on using the freshest and best quality ingredients to make it shine. Raw zucchini is paired with arugula and parmigiano with a simple dressing to make a refreshing salad. Zucchini in Agrodolce (sorry, no photo) is the first dish that my Dave requests when zucchini season starts. Simple panfried slices of zucchini are marinated in a sweet and sour sauce that features garlic, anchovy, pine nuts and raisins. Good hot, warm or cold. There are rarely any leftovers when I make this dish. Ricotta Stuffed Zucchini Blossoms in Sage Butter is Dave's other most requested zucchini recipe. Yeah, yeah, it doesn't actually use any of the squash, but where's there's squash there's blossoms and these are worth the effort to collect the blossoms. The hybrid Romanesco zucchini that I'm growing this year (shown at the top of this post) produces huge blossoms on each zucchini and the zucchinis are large enough to harvest the day that the blossoms open so I've got a steady supply of blossoms in addition to zucchinis. Scarpaccia is the zucchini dish I look forward to when the zucchini start to roll in. It's a thin pancake-like tart with crispy edges and a creamy center. It makes great picnic fare, a popular appetizer, or a tasty vegetarian main dish. 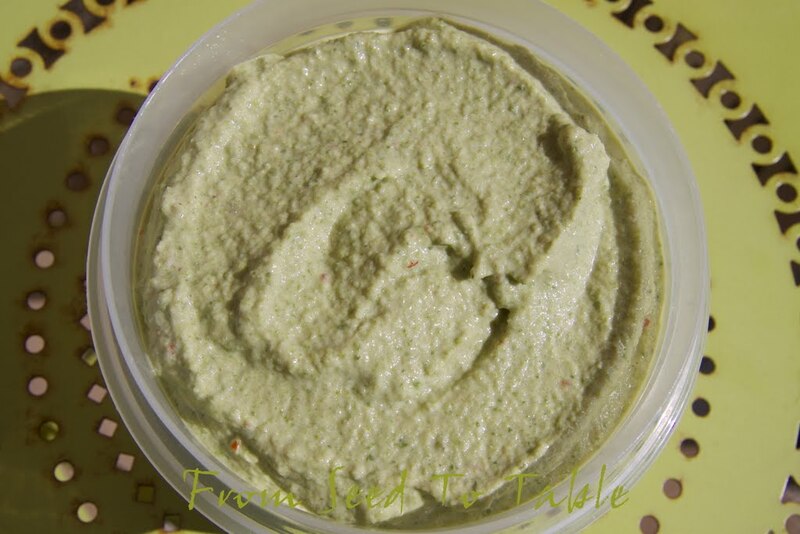 Zucchini Hummus is something that I devised last year when faced with a glut of zucchini. It's based on the classic chickpea hummus but I substituted lightly steamed zucchini for the chickpeas. It turned out to be a winner and tasters had no clue that there was zucchini in it without being told. Sauteed Zucchini is something that I don't really have a recipe for and every time I make it it is different. But lately I've dug into my drawer of gadgets and pulled out my very low tech wavy slicer. 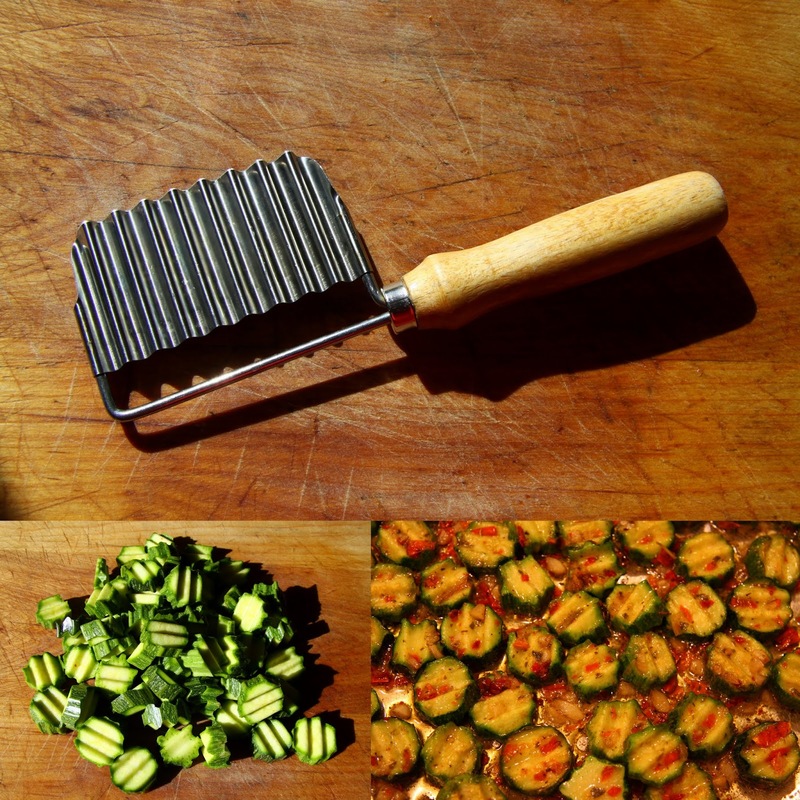 I love the way that the ridged zucchini slices grab the seasonings if you finely chop them. The seasonings always vary, but lately I've been using plenty of fresh garlic. Other seasonings that I routinely reach for are pepper flakes, chopped capers, or herbs such as rosemary or basil. Sometimes I'll add chopped anchovies, or when I want that anchovy umami and don't have any on hand I'll add a couple splashes of Red Boat fish sauce. Zucchini Saltimbocca or zucchini that jumps in your mouth. A zucchini version of the classic veal saltimbocca from chef Michael Chiarello. Prosciutto, cheese, and sage sandwiched between zucchini slices, dipped in egg and breadcrumbs and pan fried. Heavenly. Three gratins from the book Provence The Beautiful - all different and delicious and I couldn't possible choose a favorite. Zucchini Gratin - diced zucchini with onions, anchovies, olives, and hard-cooked eggs sprinkled with breadcrumbs, drizzled with olive oil and baked until golden. Zucchini and Greens Gratin - shredded zucchini and chard seasoned with bacon, onion, parsley and garlic, bound together with parmigiano and eggs, baked until set and golden. I need to put this on my short list, my chard is growing like weeds. Zucchini and Rice Gratin - thinly sliced zucchini seasoned with onion and marjoram, baked with milk, breadcrumbs, eggs, parmigiano, and rice. Substantial enough to make a main course. That's it for now, the list would have been different a few years ago when I indulged in sweets more often. There's a killer chocolate zucchini cake from Saveur magazine and I developed my own whole wheat olive oil zucchini bread and zucchini cornmeal muffins. But those are just occasional treats now made only when I can share with a crowd. I hope you find something on the list to inspire you! Dave and I were in Chile earlier this year hiking in Torres del Paine National Park. Every evening, whether we were dining in the dining room at the EcoCamp or dining in one of the refugios along The Paine Circuit, there was a bowl of Merkén (or Merquén) to be found on the table. Merkén is a chile pepper blend that has been made by the indigenous Mapuche tribe for ages but which has recently become a popular seasoning enjoyed throughout Chile. I found myself requesting it every morning to spice up the bland scrambled eggs that we were served to fuel us for the day's hike. Scrambled eggs are not one of my favorite things, but when piled on top of cheese with a dash of Merkén and perched upon a slice of the usually blah buttered toast, breakfast became something more than just fuel for the trail. Unfortunately we spent all of our time in Chile in the park so there wasn't an opportunity to shop and stock up on a stash of Merkén to take home. When I got home I did a bit of research, which started with trying to figure out what the name of the spice blend is (they told me but I didn't write it down and so I forgot). That took a bit of rooting around on the web but I finally found what I was looking for. Merkén is made in two basic formulations, natural - which is just ground chiles and salt, or especial - which is ground chiles with salt and coriander seeds and sometimes cumin and oregano, and sometimes other ingredients like bay and garlic. What really makes Merkén unique is the chile peppers and how they are prepared. Aji Cacho de Cabra (Goat Horn Peppers) are the peppers grown by the Mapuche. The peppers are harvested green, allowed to ripen, then sundried, and then finally smoked over a wood fire. I wanted to make my own version of Merkén, it would certainly not be authentic, but I craved that same lovely flavor of sweet smoky spicy salty peppers and sweet and earthy spices. The Wikipedia article on Merkén says that the typical ratios for the especial mix are 70% peppers, 20% salt, and 10% coriander seed. And then I recently found a couple of Merkén recipes in Maricel Presilla's book Gran Cocina Latina (why didn't I look there first?) where she recommends using dried New Mexico chiles. I have loads of dried New Mexico chiles from my grand chile growing experiment last year. Maricel recommends using hot Spanish pimentón to lend spice and smoke to the blend, but I decided to us smoked sea salt instead. And to get some spice into the mix I used a mix of dried mild New Mexico chiles and dried Aleppo peppers (also from my garden). The result is fabulous. I use very small quantities for my experimental batches (this is #2), but I'm actually thinking that small is the way to go because the mix will lose it aroma quite quickly if it sits around - fresh is best. It will also allow me to experiment with adding other spices to the blend, next time I'll add a touch of cumin. I also used my digitial scale which allows metric measurements, grams are so much more precise when working with small quantities. And I kept to the 70-20-10 formula so it should be easy to scale the recipe up by using the same ratios. If the peppers are leathery they need to be crisped a bit to grind properly, I placed mine on a baking sheet and put them in a 350º degree oven and then turned the heat off and let the peppers sit in the oven a few minutes, then removed them from the oven and let them cool on the baking sheet. They can also be toasted in a skillet or on a flat griddle, press the peppers onto the hot surface with a metal spatula until they are dry and slightly charred. I find it easy to burn the peppers with the griddle method so I crisp mine in the oven. Grind the salt and coriander seed together in a spice mill (coffee grinder) until fairly finely textured. Crumble the peppers into the mill and grind the mixture to whatever consistency you desire. I like it to be between fine and coarse, with pepper flakes and small pieces of coriander still visible. I found the coriander to be too coarse and the peppers too fine when I ground them all together, that's why I grind the coriander separately first. The mix is great on eggs, or used as a spice rub, sprinkled on vegetables, meat, fish, poultry, tossed with roasted nuts, or sprinkled on cheese. Hmm, it might even be good on a nice cold slice of melon. Cucumbers, tomatoes, and Merkén. A dash of Merkén on hummus. Merkén and chocolate? What might it not be good on? Oh my, this was even better made with home smoked peppers. I used the same proportions of peppers, salt, and coriander seeds, but used my smoked peppers and plain salt instead of smoked salt. I really slacked off in the photography department last week. All you get to see are onions and garlic. I can't believe that I didn't even photograph my first or second harvest of Royal Burgundy beans. But so much zucchini is coming out of the garden that I'm not surprised that I figured that I had taken a photo of at least one harvest - but not so. I've been working on using up last year's frozen vegetables. One night I thawed out some roasted green peppers and combined those with some zucchini, zucchini blossoms and onions into a sort of flan/crustless quiche with goat cheese. I really like the flavor combination but the recipe still needs some tweaking for texture. Another night I pulled some roasted sweet red peppers from the freezer and added those to a salad of Royal Corona beans (from Rancho Gordo), the Royal Burgundy beans, sliced fennel and Red Candy Apple onions, along with some tuna for a Royal Salad. Other than that, we've been feasting on grilled onions and roasted fresh garlic, and zucchini in every way I can think of. Last night I whipped up the first batch of one of our favorite zucchini recipes - Scarpaccia - a sort of baked zucchini tart/pancake. Royal Burgundy snap beans - 4 oz. Flamingo chard - 6.7 oz. Peppermint Stick chard - 5.1 oz. Spanish Roja garlic - 4.5 oz. Red Candy Apple onions - 2 lb., 10.8 oz. Superstar onion - 11.6 oz. Usui pea shoots - 9.7 oz. Romanesco zucchini - 2 lb., 7.7 oz. San Pasquale zucchini - 2.5 oz. Zucchini blossoms - 6.7 oz. Yesterday I lifted most of the Red Candy Apple onions and all of the Inchelium Red garlic. This is the space that they had occupied. A couple of weeks ago I pulled the drip lines that flanked the onions and the Inchelium Red garlic and allowed them to start drying in the ground. After lifting the onions and garlic yesterday I pulled the drip lines that flanked the Spanish Roja garlic that you can see beyond the garden fork. The Spanish Roja matures a bit later than the Inchelium Red. The drip lines that you see in the open part of the bed are the ones that used to be running through the Spanish Roja. There's still a few Candy and Superstar onions in the ground to the left (the ones that didn't send up flower stalks) and a couple of Red Candy Apple further down, the necks on those started to flop over a bit later than the Red Candy Apples. Floppy necks are sign that the onions are mature enough to harvest and cure for storage. Below are the onions and garlic drying on a screen that I cobbled together from some old wire fencing, boards, and rebar stakes all of which are perched atop a few big plastic pots weighed down with rocks. This is when I wish I had a couple of saw horses. I had read that you don't want to pull the onions and garlic as that my damage the roots and necks which could allow pathogens to infect the bulbs thus shortening their shelf life. It's ok to cut off the roots and necks after they have cured, but doing so too early can also lead to infections, but you don't have to trim off the roots and stems at all if you don't want to. These are sweet onions so they don't keep as long in storage as "keeper" onions and so I want to maximize whatever storage time is possible. I laid the onions across the mesh, but pulled the garlic tops through the mesh so they are hanging upside down. I don't know if it matters that the tops aren't clearing the ground, it probably doesn't because the soil is dry. It looks sunny there but it's in shade or part shade all of the time. I'm amazed at how large some of the onions got to be. This is one of the largest. And the garlic really plumped up as well. The garlic and onions will be weighed and tallied when they are cured and cleaned or as I use them. This is my first time trying anything other than scallions or bunching onions so I'm really happy with how the onions did. I'm really happy with the garlic as well, I had big problems with rust a few years ago and almost gave up growing garlic, I did give up for one year and last year the garlic was only so so. It's nice to have a good crop for a change. I doubt that I can take any credit, the extra dry winter this year probably kept the rust from running rampant, it's there this year, it just hasn't been lethal. The hybrid Romanesco zucchini is already going crazy, but I won't bore you with photos of all my harvests, just one. Oh well, make that two. One of the zucchinis snuck into a photo of my jumbo radishes. I'm always searching for tasty but easy dishes that use plenty of zucchini and this week I found one in Vegetables From An Italian Garden. It was certainly easy, just ricotta, eggs, and salt beaten together, then flour (I used whole wheat), diced zucchini, and shredded zucchini blossoms folded in, spread in a buttered baking dish and baked for 15-20 minutes. My husband loved it so I'll be making it again, next time I may tinker with it and and some sage leaves browned in butter, maybe top it with some shredded Parmigiano or pecorino. Need a little perspective on just how jumbo that Long Scarlet radish is? My clippers are over 8 inches long (20 cm.). The radishes were a bit too mature to slice into salads, but they were delicious cooked. I took some notes on my preparations which you can read here. The garlic is nearly ready to pull and cure. I harvested one head to roast. I usually roast my garlic in the oven, but this one was cleaned up, roots removed, top sliced off to reveal the tops of the cloves within, then wrapped in aluminum foil with some olive oil, salt and pepper and put on the BBQ and roasted until tender. We consumed it just squeezed out onto bread, oh my how sweet it was. I keep pulling fresh heads of garlic from the garden, it's so wonderfully mild before it's cured. And I'm pulling onions to use fresh also, we love them sliced and grilled. I used one of these last night, grilled on my stovetop ridged griddle, they accompanied some grilled asparagus which was topped with sauteed ground lamb that was seasoned with garam masala, fresh fresh garlic, chopped onion, and pomegranate molasses and cilantro. I'm going to have to write that recipe up so I don't forget it, my husband loved it. The chard requires regular harvesting also, the Flamingo chard is producing side shoots that I'm cutting off and the Peppermint Stick chard keeps putting out huge leaves. I also harvested some huge leaves from the Golden Chard which did not get photographed. No new chard recipes to report, but I'm always searching for those too! I don't tally my fruit harvests, but I do like to show them off. I have two blueberry bushes growing in pots. The harvests aren't big but the berries are very tasty, I like to let them get extra ripe. This is a mix of Sunshine Blue and Misty. The strawberries keep trickling in. I try to harvest these as ripe as possible also. They don't sit around long enough to spoil. Chamomile, dried - 3.1 oz. Flamingo chard - 7.2 oz. Golden chard - 1 lb., .3 oz. Peppermint Stick chard - 1 lb., .2 oz. Inchelium Red garlic - 2.9 oz. Red Janice garlic - 10.4 oz. Red Candy Apple onions - 2 lb., 2.1 oz. Pea Shoots - 2.8 oz. Long Scarlet radishes (inc. greens) - 1 lb., .3 oz. White Icicle radishes (inc. greens) - 3.6 oz. Romanesco zucchini - 3 lb., .9 oz. San Pasquale zucchini - 2.4 oz. Zucchini blossoms - 11.1 oz. On to Bed #3. Early in the year this bed was devoted primarily to saladings. Those have all been cleared out except for the items that I'm collecting seeds from. So for the past couple of months this tunnel has been mostly about chard. It's difficult to see in this photo, but there's just a mish mash of stuff left in the tunnel, except for the chard at the far end which is not clearly visible here. Here's the chard a few weeks later, not much different. Other than that a rat found its way in and started to munch on the base of my golden chard plant. Two weeks later and the chard is still going strong and the rat was, um, apprehended. The Flamingo chard is producing numerous side shoots which I've begun to cut out because it is possible to have too much of a good thing. Now that the rat has been tried, convicted, sentenced and has met its fate the strawberries are coming back. And I finally got around to sowing a new round of saladings and other greens in the bed. That tangle of greenery in the center is Golden Corn Salad going to seed. I never did get a decent bunch of it growing this year and what little did do well was at its prime when I was on vacation. That's ok, I had a surfeit of other greens to use in my salads this spring. There's one other thing that came from the tunnel recently, a volunteer Ear of the Devil lettuce. It is so aptly named. It's beautiful, but not one of my favorite lettuces, it tends to turn bitter if allowed to mature too much. Let's move on to the far end of the bed where you can see the towering carrots in full bloom yesterday. Here's that corner earlier in the spring. There are two rounds of carrots coming into bloom. The first round is in the lower right corner of the photo. These were short at this time because they were actually tall and in full bloom last autumn and were knocked down by a freeze in early December. The roots survived and pushed out a bunch of short flower stalks this spring. The rest of the carrots were not blooming last autumn and didn't push up their main flower stalks until this spring, now in June they are full bloom. In the lower left is a patch of Tuscan Arugula that I had harvested once and then they quickly started to bolt, they were all pulled out not long after this photo was taken. Towering behind the Tuscan arugula is a patch of Speedy Arugula in full bloom. A couple of weeks later the tall carrots are starting to blossom. Note the trellis behind the carrots. That was supporting peas a long time ago and I kept it in place to support the carrots as they started to reach for the sky. I'm not so sure that I'll actually be harvesting the carrot seeds, but for now I can spare the space and am fascinated to watch them bloom and also appreciate their attractiveness to beneficial insects. Did you know that carrot blossoms have a pleasant fragrance? A week later and the Speedy Arugula has started to flop all over the place. There are LOTS of seed capsules developing. Another week and some of the seed capsules appear to be ripening, although the plants are still blooming. All sorts of stuff blooming here, cilantro/coriander, carrots, arugula, corn salad, and one very dry hillside in the background with suffering oak trees. Coming around the corner to the tunnel on the other side of the bed. I planted far too much lettuce for the spring. By mid April all the fabulous butterhead was gone and the Sweetie Baby romaine was in its prime. Sweetie Baby lives up to its name, its great when it's baby sized and it stays sweet even when it starts to bolt. But by the end of May I had to pull the remaining heads out, even Sweetie Baby has its limits. And now that spot is filled with baby beets. These are my favorite varieties - Chioggia, Golden (from Renee's, the best Golden beet I've found so far), and Red Baron. These were started in paper pots. They are now in need of thinning. And over here you might see the first sprouts of escarole. I'm trying a new variety that I hope will be suitable for summer growing. I love the name of this one, Bionda A Cuore Pieno, which so far as I can tell means Blond Full Heart. I'll sow some again in the fall for winter harvests. The far end of the tunnel was home to the spring crop of beets. I pulled them a few a time as I wanted them. By mid May the last of them needed to be harvested and unfortunately I received some unwelcome assistance in that task when a rat discovered how delicious garden fresh beets can be. The beets are gone now and in their place are some young Ruby Gem romaine and a couple of Kagraner Sommer butterhead lettuces. The tatty stuff to the left uh, right, is the first planting of peas for peas shoots. Here's a little more appetizing look at them earlier in the spring. The plants got a bit ratty looking as the season wore on, the oldest leaves would turn brown and there were a few other volunteer things growing in the patch. But the plants keep putting out tasty new shoots. Still looking a bit ratty 10 days later, but the interlopers have been weeded out and the peas keep sprouting. Even now there's a few shoots in there ready to harvest, probably the last one. Soon I'll be cleaning them out and the neighboring patch and planting something else to put in my salads. Back to the other end of the tunnel where the butterhead was growing earlier. This is a patch of Purple Pac Choi, Ruby Streaks Mizuna, and mixed cutting mustards. They grow so quickly! I should have been harvesting them at this stage but there was so much else coming out of the garden that I didn't get around to it. They didn't need the extra 10 days of growth, boy do these grow quickly at this time of year. I harvested most of the Pac Choi and Mizuna not long after taking the photo above but I did not get around to harvesting the mustards. I never did get around to taking a good photo of the Romanesco fennel this spring. And now for the sad story of the Red Fife wheat patch. I doesn't look so bad here. It started to show some heads in early May. But by mid May it was already looking bad, turning brown and it was barely developing heads. By the end of May it looked so bad that I didn't even bother to clear out the other plants that were volunteering in the patch. By mid June the most notable thing in there was the bolting volunteer Ear of the Devil Lettuce. I think this is why I allow the Ear of the Devil to volunteer around the garden, it's just beautiful, even when it's bolting. At least the volunteer cilantro/coriander, poppies, and chamomile are attracting the beneficials to the garden. The project for this weekend is to clean this all out and I'll continue to buy my wheat from someone who can do a better job of growing it. It was a fun experiment.